The children in Reception have loved being eco warriors today and have promised to be eco warriors from now on! 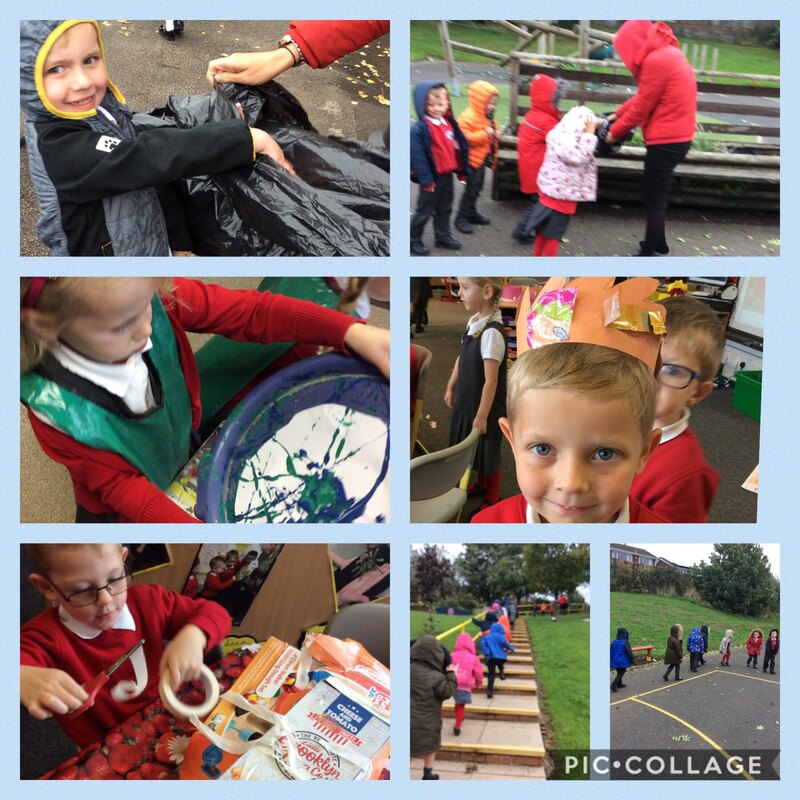 The children were saddened to hear how litter is harming our animals so we decided to walk around the school and pick up any litter we could find. We’ve made litter crowns, eco warrior badges and made different things with junk modelling materials. We have also made a marble painting of our planet. Lily said “I don’t like it when people drop litter because I love animals and it will hurt the animals” and we hope this message will stick with the children as they grow older. This entry was posted in EYFS and tagged Eco on September 21, 2018 by Sandford Hill. Keep putting that litter in the bin children!